The beauty of shared direct mail marketing with Valpak is affordability, precision and brand recognition. The name on the front of our envelope gets advertisers into the door, and it’s up to advertisers to pique the interests of tens of thousands of area households that look inside for offers. But don’t worry. Our support doesn’t end with getting you through the front door. Valpak of Long Island East End will also help you design offers to mail to prospective customers. The postal service isn’t the only avenue into households around the East End. As a Google Premier Partner Valpak is well qualified to take your brand’s message online. We can help you reach local consumers through optimized content with keywords to attract attention online. We can also create a mobile-friendly website or a business profile page on valpak.com. Beyond local marketing online, Valpak can help your track your advertising effort both on and offline. Our performance tracking will keep you informed of calls generated by your print ads, clicks spurred by your digital ads, prints of your coupons and more. Partner with Valpak and target promising neighborhoods in cities like Riverhead, Shirley, Manorville, Mastic and Mastic Beach. Reach up to 40,000 qualified households in Calverton, Moriches, Center Moriches and East Moriches, Yaphank, Brookhaven and surrounding cities. For specific dates and coverage, contact your Valpak of Long Island East End representative. 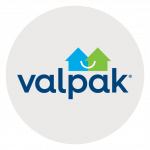 Valpak of Long Island East End is an independently owned Valpak franchise.